You are here: Home / Product Reviews / 7 Awesome Teardrop Trailers You HAVE To See! 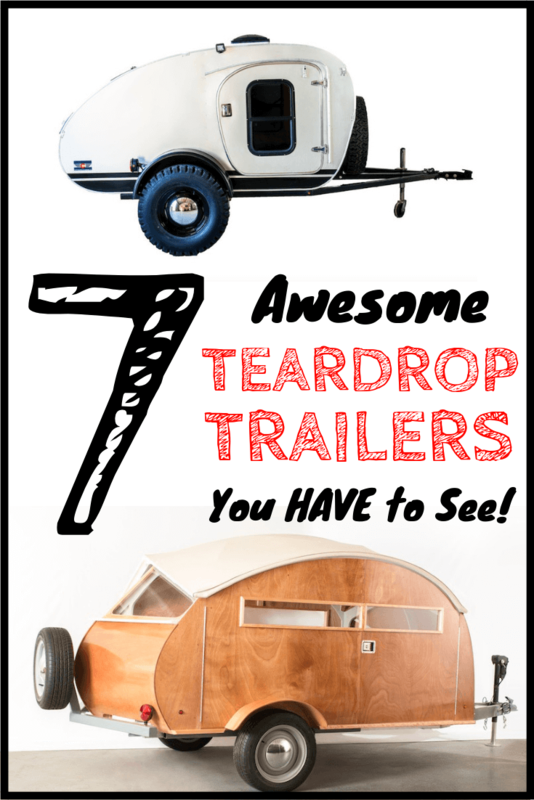 7 Awesome Teardrop Trailers You HAVE To See! 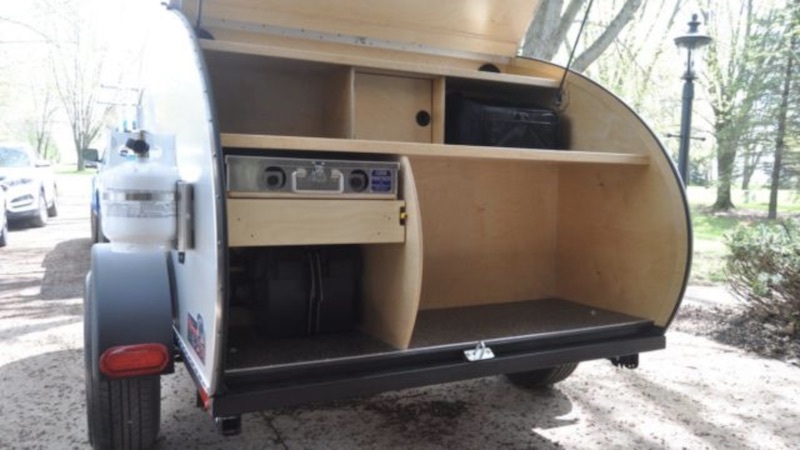 Thinking about buying a teardrop trailer? Then you absolutely HAVE to check these out! 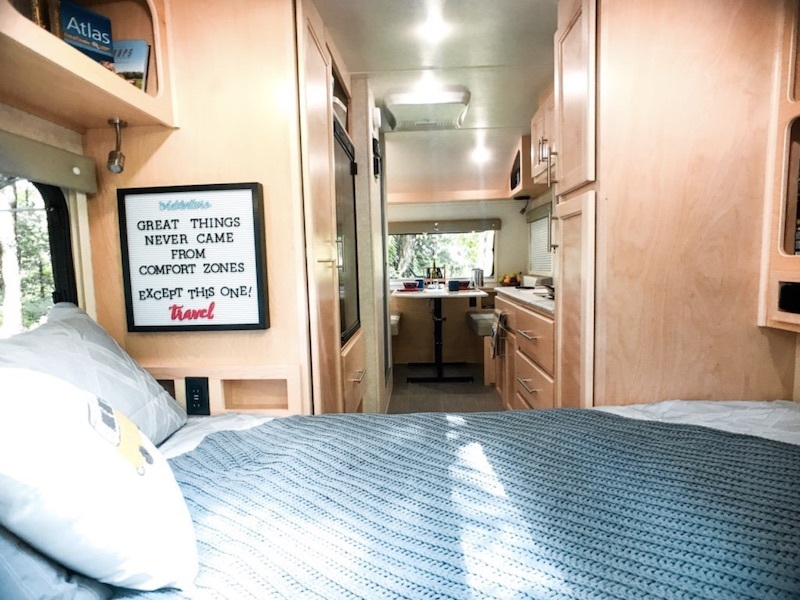 We've got everything from the teeny tiny 11' Timberlane Pika to the "how is this still a teardrop camper?" 20' Forest River R-Pod! Take a look and let us know which is your favorite or if we've left anything out that deserves to be here! Check out the table of content or just scroll on through. Quick note: Teardrop campers are as unique as fingerprints. Every teardrop trailer will have its own unique ups and downs so we tried to include a variety here for you. 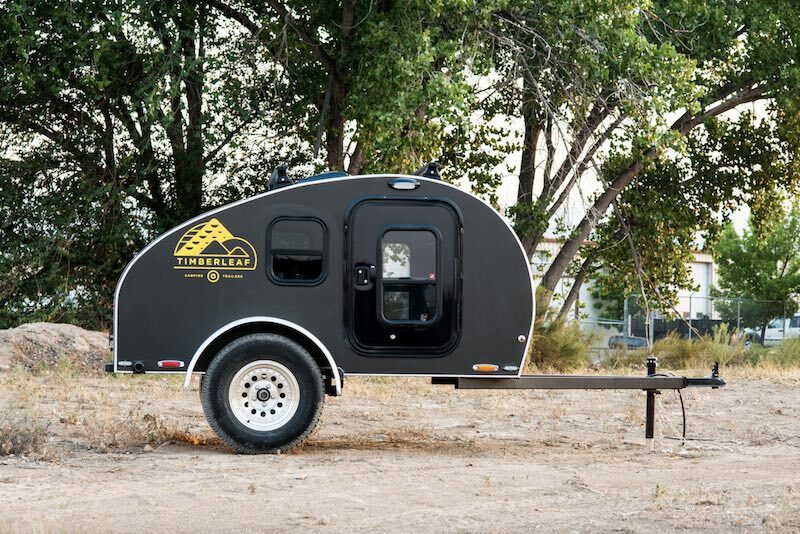 The Little Guy Max is the ultimate teardrop trailer. It has everything you need that would classify it as a tiny house on wheels. With a large queen size sleeping area and compact bathroom, you will have all the comforts of home in such a small space. 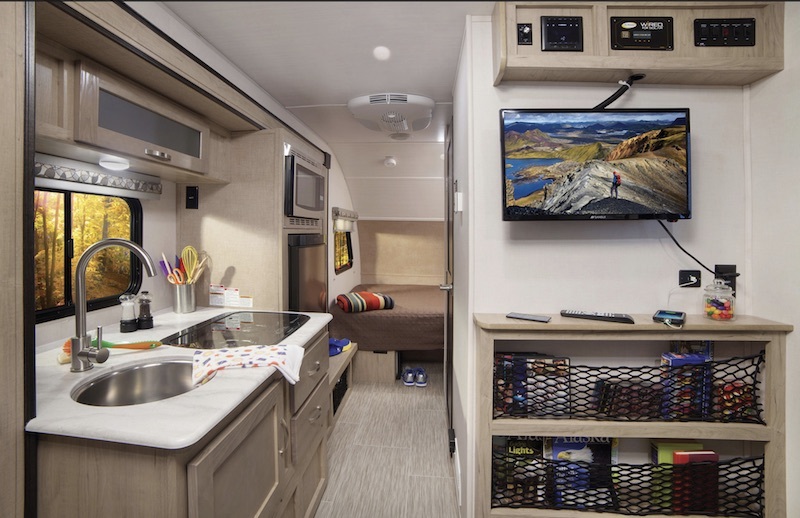 Although it may look small on the outside, you get everything from a closet and a ton of storage space to a decent kitchenette and dinette. 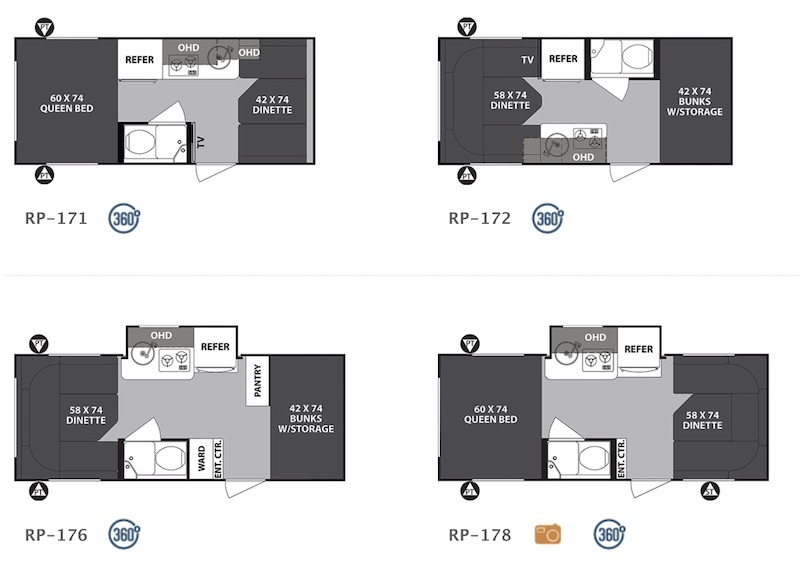 Take a look at the floor plan to see everything that the Little Guy Max has to offer. Meet my personal favorite: The Hütte Hut! 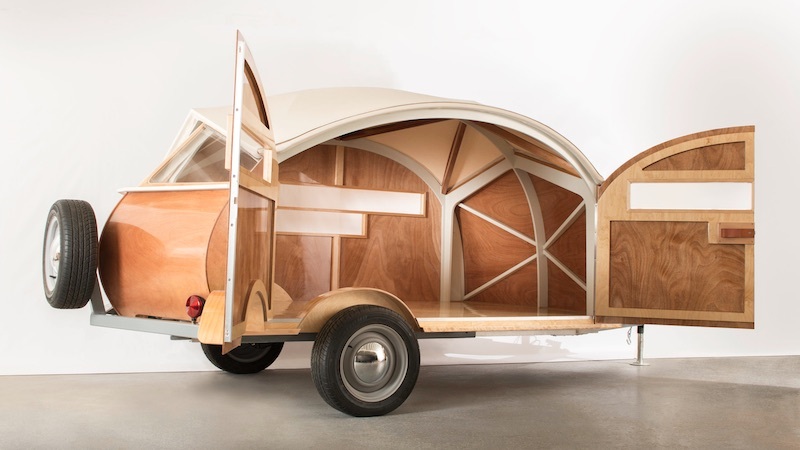 This teardrop trailer is lightweight, easy to tow, and completely modern. It may look small, but it is so roomy inside. The best part about it being completely open, is that it is completely customizable to your needs. Note: It doesn’t come with a bathroom, but you can easily grab a portable toilet and outdoor shower. Click here to see the full specs. 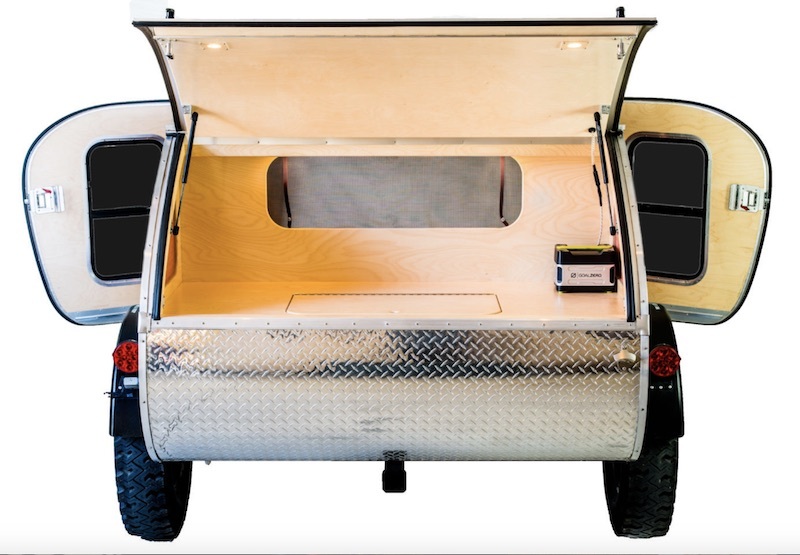 If you’re looking for a teardrop camper that is as rugged as you are, take a look at the Timberland Pika. This teardrop sleeps two people and you can upgrade to an all-terrain package to take this bad boy anywhere. This trailer has a large sleeping area, two windows, and a door on each side for easy access. There is even an area if you want to add a TV or just use that area for a storage net. There is added surface area on the headboard for you to put your essentials. When people think about teardrop campers, they think about something along the lines of the Midwest Rover. 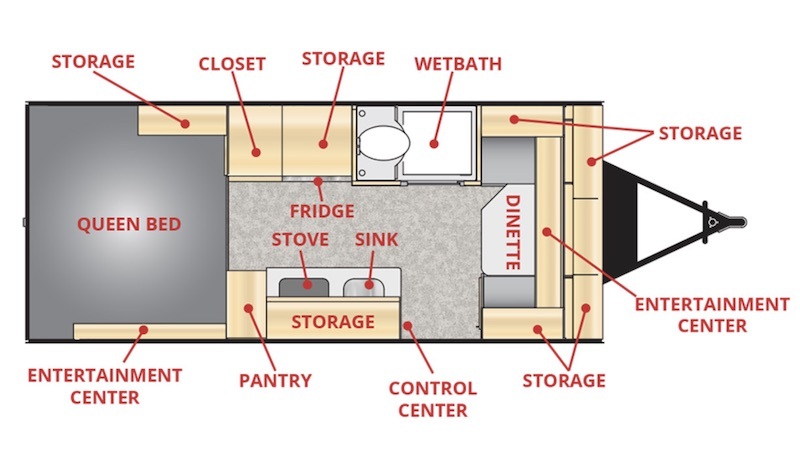 This is your classic teardrop with a sleeping space, some shelving, and an outdoor, galley kitchen. Don't let the simple design fool you. Simplicity means you can customize the inside to your liking and put in all the little touches of home. There is plenty of room inside for two adults to sleep comfortably as well. The galley is also big enough to put a small fridge or cooler unit and still cook up a great meal. This camper is great for the outdoorsy couple that loves spending time outside instead of hermitting away inside. One of the best things about the Vintage Overland is that each trailer is custom and hand-designed to the buyer's wants and needs. No two of these trailers is going to be exactly the same! 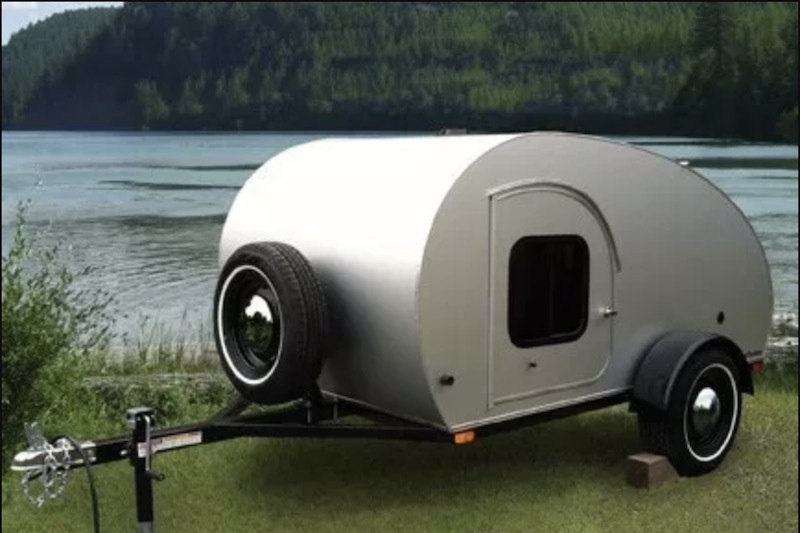 With enough room to sleep two adults and the ability to specify how you want the inside, the possibilites are endless with this teardrop trailer. If you are into retro and want something that is uniquely your own, definitely check out this camper. 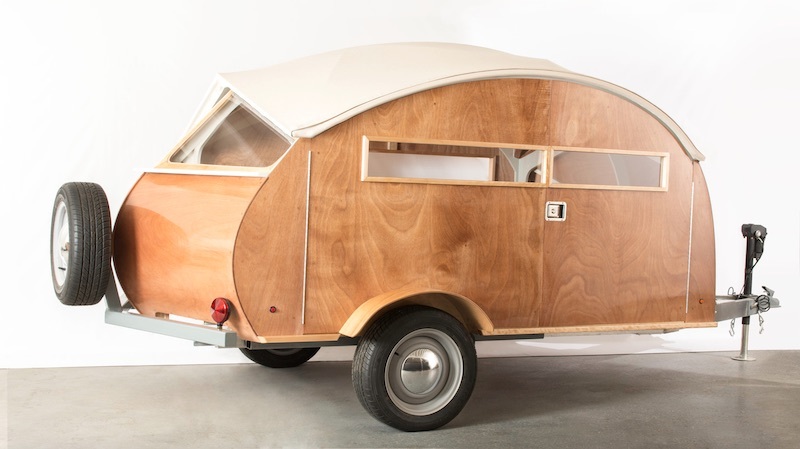 This micro-camper has all the luxuries of home in such a small package. 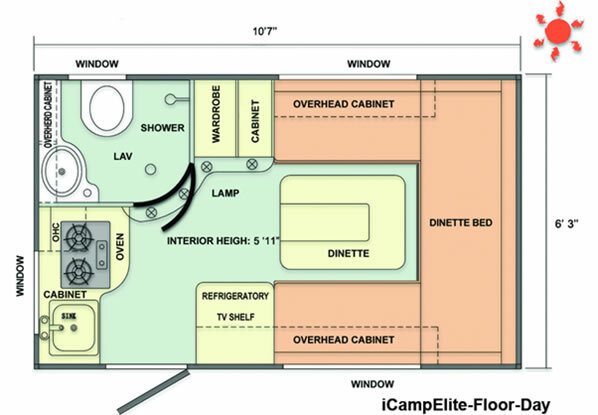 The highlight is that it is one of the smallest campers out there with a bathroom! The dinette transfers into a bed. As a bonus, it even comes with an oven and fridge! 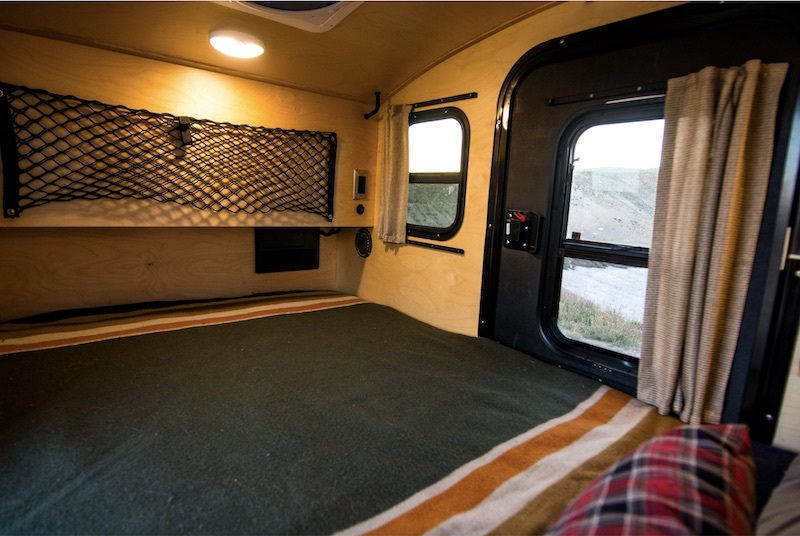 All these features are rare for a micro camper like this. It is almost like taking a really nice New York apartment and putting it on wheels. A queen bed comes standard on this bad boy. You also have the option to have bunks. There are so many floor plan choices that you are sure to find one to fit your needs! And that brings us to the end of our teardrop trailers! I hope you had as much fun reading this as we did writing it! 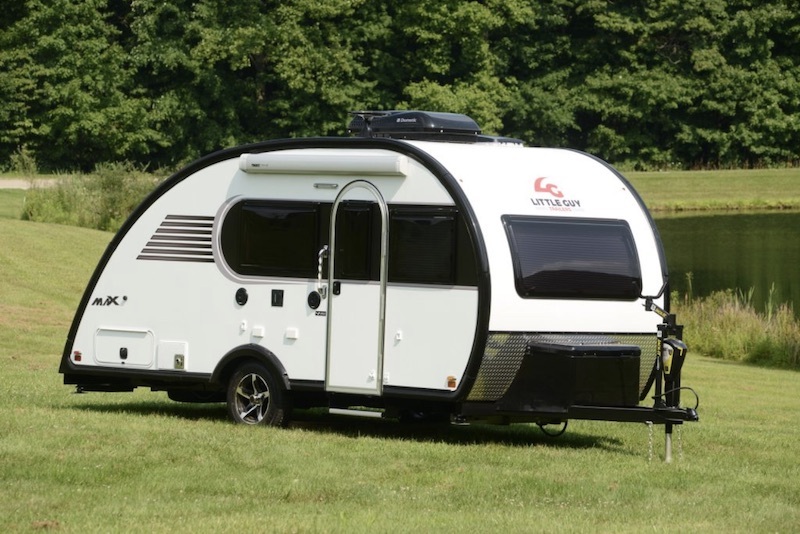 Let us know in the comments - did we miss any cool teardrop trailers? Are you going to get one from this list? Not sure which camper to choose? 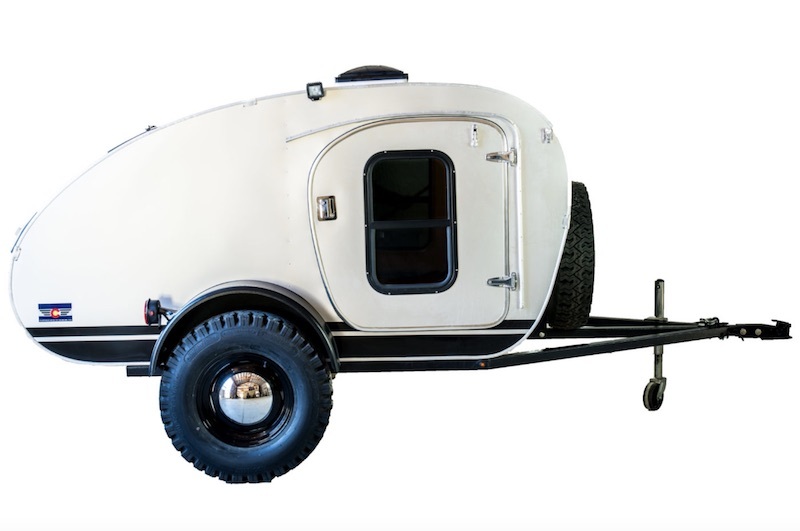 You can always rent a teardrop trailer to take the model you're thinking about for a test run before you buy! Are you saving time and money with The Wandering Newsletter®? Learn everything about RVing, from the best products to hacks that save you time and money. It's free.